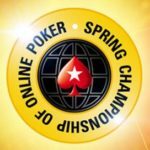 The Spring Championship of Online Poker has finished up and PokerStars did not disappoint. From May 6th to the 21st, online poker players were able to take part in the SCOOP, which was known as SCOOP X this time around thanks to the celebration of the series 10-year anniversary. Take a look at some of the highlights and final SCCOP results of 2018. SCOOP is always popular among online poker players because it offers three levels of gaming. There are Low, Medium and High stakes versions of each event, so players of all skill levels and bankrolls can take part. With the series finishing up, we thought we would cover a few of the bigger events. Below is a short rundown of some of the SCOOP action. 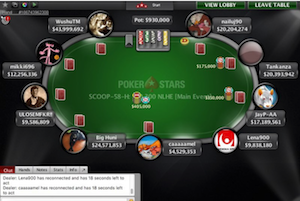 The SCOOP Main Events finished up yesterday with the High version being the most popular. A total of 486 players paid the $10,300 buy-in to compete in the High Main Event with 168 reentries paid. The field was tough, but in the end, it was Tankanza of Austria who earned the first-place win. The online poker player would earn $1,133,160 for his efforts and be provided a Platinum Pass, which has a $30,000 value and provides entry into the PokerStars Players No-Limit Hold’em Championship next year. The PokerStars tournament was a huge success, generating $6,540,000 in total prize money, which is more than 30% more than the original guarantee of $5,000,000. Eighty players would cash out during the event, with a minimum five-figure payday guaranteed. While discussing Main Events, let’s dive into the Medium and Low options. The Medium Main Event saw 5,508 players competing, which lead to a massive increase for the guaranteed prize pool. Originally, $4 million was up for grabs, but the tournament would see $5,508,000 in total prize money available. In the end, online player Wildace_hun of Hungary would use pocket aces to claim the win, earning $783,165.95 for his efforts. With the Low event, players only had to pay $109 to compete, so the field was massive. A total of 26,361 players competed (7,850 of which were re-entries), with $2,636,100 in total prize money up for grabs. Cashicid Linc would earn this win, taking home just over $267,583 for his efforts. These are just a few examples of how the SCOOP played out this year. The 2018 version was set to offer $65 million in prize money across 183 tournament events. According to the final numbers, the series generated over $90 million in total prize money. These numbers just go to show that PokerStars still has what it takes to offer quality tournament gaming and the SCOOP is a series that player should definitely take part in year after year.